Using up the world, as we are becoming increasingly more aware, leads to pain, suffering, illness, death. Certainly we have had many short term gains, but our livestyles are unsustainable. And yes, I am aware that I have Western privilages, including internet access, and the like. This is one reason I know I need to learn this too. Walking on this path we have promised to be honest, we have begun to make space for our hearts in our lives, and we have learnt how to open the Faery senses. Let us now put these things together. Find somewhere comfortable to sit and play. 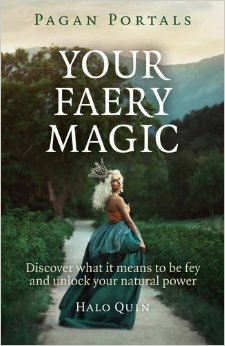 Open your Faery senses in the way the Faery Queen told you. Feel the mists between the worlds descend and feel your senses open. Know that you can see with Faery sight, hear with Faery ears, feel with Faery senses. What fills my heart with love and joy and delight? What fills my heart with warmth, but I won’t let myself hold? And what am I holding onto in my heart that I no longer need? You might want to write or draw or doodle in your journal around these thoughts. You may suddenly realise you have the perfect thing to represent something you would like to hold in your heart and feel compelled to go get it and see how it feels to place it in there. Feel how your Heart-Space feels to you. Is it missing things? Is it overflowing with love? Is it a little leaky? Are there some things you feel you would never put in there, but would like to just the same? Allow insights to arise, take your time and come back to this later and see how the answers have changed. 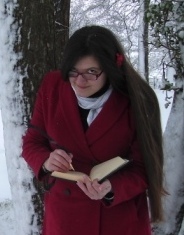 If you would like to, I include some suggestions for journaling below. Mark out a heart shape in your journal. Collage, draw, write, doodle, whatever feels good to you. What fills you with love? What would you like to hold in your heart, but are scared to? What do you know fills you with love, but you resist taking it in? What supports you in bringign your heart into your life? Surround the heart with things that support your heart/bringing your heart into the world. You can keep adding to this over time, allowing images to come to you in magazines or leaflets, or drawing them directly onto the page. Allowing words to arise, painting over images, cutting holes… anything that feels like it expresses what you feel would best fill your heart, and that surrounds you with a safe place to express your heart. Be honest. Be as gentle with yourself as you need to be. Play! You may want to scan these images and print them out at card size so you can make them into a deck of cards, carry them with you easily, or keep them visible around your home or workplace. You can make these images into wallpaper for your desktop, or posters for your room, or anything that helps you remember who you are. You may want instead to sit with the journal pages and condense them down directly onto a card, drawing or writing out the bits that most resonate into something that can remind you of the whole. Why walk this Path to Faeryland? If we look at the stories of faeries, all the myths and legends, we see a common theme; they are all very strongly connected to, or embodying, nature. They are not, however, merely the plants or trees or forces which they embody, they are beings which are inherently magical, beyond limits. Humans are lured into Faery by beauty. Beautiful music, beautiful visions, beautiful food. And this beauty, once we return to earth, we pine for. So Faeryland is that place within the world, and ourselves, in which the sense of magic, wonder and beauty lies, the natural core of our being. Our Heart. If our hearts, at their untamed core, are places of beauty and magic, then surely following the call to faery will open our hearts again to the beauty of the world? If we learn to touch the Fey parts of ourselves then we can move through our lives open to the beauty that surrounds us. In our heart we are natural beings, we have learnt really wonderful human skills like Compassion and language, but in our search for order we have tried to tame our Selves, and instead we have locked them away. And these parts of ourselves hurt, so we, inside, die a little each day. Here we choose to walk down a path that will lead us back to the parts within us which we truly are. We seek all our parts, those that are good at communication, at compassion, and those that are good at standing up for ourselves and being Free. Fey means free. Free of the locks we’ve used to keep ourselves acceptable, and free to choose to move in Compassion and beauty. Fey means to be free to be our Selves, to live our lives without unhealthy compromises, to dance to faery music so we are filled with love and joy and deep feelings even in a business meeting or a busy, grimy underground train. We look for our hearts, and when we live with them open, in the world, we are not only happier in ourselves, but we share some of that light with everyone around us. We need to be true to ourselves, and we need to live with others. I believe, with all my heart, that being true to ourselves will help us to be with others. The world is getting greyer by the day, look at the people around you. I hope they are happy, but I fear they are not. Our world needs a resurgence of open hearts, shared beauty and joy. So let us join those that already search for their hearts. Let us walk this path into Faery so that we can return with our hearts and fill the world with colour again!